Blog What Are The Best Indoor Grow Lights For Plants? What Are The Best Indoor Grow Lights For Plants? When choosing the best indoor grow lights for plants, it is essential first to know what grow lights are, how they work, and the different types available. Grow lights are artificial light sources, usually electric lights used to grow plants. These lights work by producing a light spectrum suitable for photosynthesis. Indoor grow lights are used in situations where there is either not enough natural light to grow a plant or where additional light is needed. Grow lights are a great way to increase the amount of time that plants receive light, to help them grow faster, or to grow in situations where there would otherwise be insufficient light. Depending on the type of plant to be grown, natural conditions are imitated using different shades, colors, temperatures and intensity of light. You can use indoor grow lights in your house to grow garden plants all year round. Grow lights can even be used for the production of food on a commercial scale. Grow lights for plants are typically much more powerful than lights used for lighting indoor spaces, but the science behind them is also quite different. The wavelength of light is measured in nanometers (nm), and it determines the color of the light emitted from a source. It also affects whether it is visible at all, or falls in the infrared or ultraviolet parts of the spectrum. Plants are better at absorbing and using light in the red and blue parts of the spectrum, and reflect more light in the green part of the spectrum. This is why the leaves of many plants appear green. The visible spectrum which is used for indoor grow lights is the part of the spectrum from 380nm to 780nm. However, this differs slightly from the band of the light spectrum that plants can absorb and use to grow. This is called the Photosynthetically Active Radiation band, or PAR. The PAR band is the 400- 700 nm range of the light spectrum. It is these wavelengths of light which grow lights target more extensively, to boost the growth of your plants. Can Plants Grow Under Normal Light Bulbs? Have you ever wondered if plants would grow under regular household lights? Of course using regular household bulbs to grow plants will be cheaper than using grow lights. But the question is; Will plants grow under regular lamps? The answer is yes in some cases and no in others. First off, the average incandescent and fluorescent lights can be used to grow plants in your home, but they have a number of drawbacks compared to specialized grow lights. Incandescent bulbs emit an enormous amount of heat in proportion to the amount of light they emit, which is not very good for plant growth. Fluorescent light bulbs stay cool and are relatively cheap, but do not specifically target the wavelength of light that plants need. If you’re growing plants that do not bloom, then a generic fluorescent light, which emits high levels of blue light, usually marked “daylight” or “cool white” will be sufficient. The color temperature of these bulbs is usually about 5000k. For plants that produce fruits or flowers, bulbs that emit light in the red part of the spectrum will be much more appropriate. The color temperature for these bulbs is usually between 2000k and 3500k. Regular home lights will work fine if the plants to be cultivated are getting some natural light from outside and if the intensity of the artificial light is good. If the number or size of plants is large, or if there is no access to some natural light, then regular home lights will not be powerful enough make plants grow to their full potential. Just like us, plants compete for resources, and you’ll need the best indoor grow lights to really make your indoor plants thrive. Let us now examine these grow lights. LED grow lights are one of the most popular options available on the market today. Whilst not the cheapest, they are the most efficient type of grow light, produce specific wavelengths of light to promote plant growth and are incredibly durable. Although the upfront cost is more than other forms of grow light, the increased efficiency, and the fact that most are rated to last at least 50 000 hours, means that they may well work out cheaper over the long term. LED grow lights produce much less heat than HID grow lights, so dissipation of heat is rarely a significant issue. For this reason, they can be placed closer to the plants that you are cultivating, resulting in increased light uptake by the plants. Overall, I would strongly recommend that you consider LED grow lights as your first option, unless your setup has particular requirements which make an alternate form of lighting more appropriate. Precisely targeted light output. LED grow lights are designed to output the wavelengths of light that plants can make most use of to grow. LED grow lights are incredibly durable, with most lights having a rated lifetime of at least 50 000 hours. Many products available in a variety of designs. 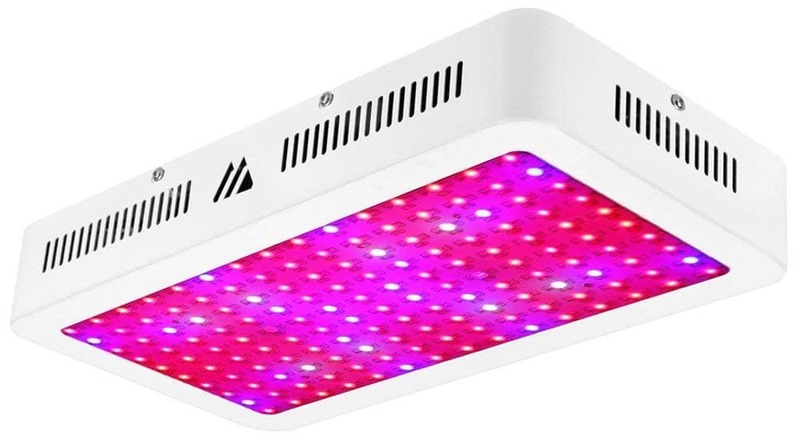 Regardless of your growing setup, the variety of LED grow light products available means that you will have no trouble finding a suitable product. LED lights are more expensive than many other types of grow lights. The light output of LED grow lights will slowly decline over time. Although their rated life is extremely long, as they advance in age, the light they produce can decrease by as much as 30%. LED grow lights are more sensitive to heat than other forms of grow light. High temperatures can decrease the working life of an LED light and can lead to an increased failure rate. Some LED grow lights will have an integrated heatsink and fan, to avoid problems, but some do not. LED grow lights produce directional light, which is focused on a small area. This has advantages and disadvantages. High Intensity Discharge grow lights have been one of the most popular forms of grow light over the last number of years. They are fairly cost efficient and are cheaper than LED lights. HID grow lights come in two varieties, high pressure sodium and metal halide grow lights. They each have their advantages and disadvantages, and are often used in combination, to gain the benefits and reduce the drawbacks of each. Metal halide grow lights are better for vegetative growth, whereas high pressure sodium lights are better to promote flowering. Metal halide grow lights emit a fairly balanced spread of light colors, with the exception of red light. For this reason, metal halide grow lights are popularly used during the vegetative stage of the plant growth. Due to the relatively poor output of light in the red part of the spectrum, metal halide grow lights are less suitable for use in the flowering or fruit production stages of growth. The light produced by metal halide grow lights is most similar to the light the sun produces in spring and autumn. Metal halide lights are used in stimulating healthy foliage and stems and to promote plant growth. 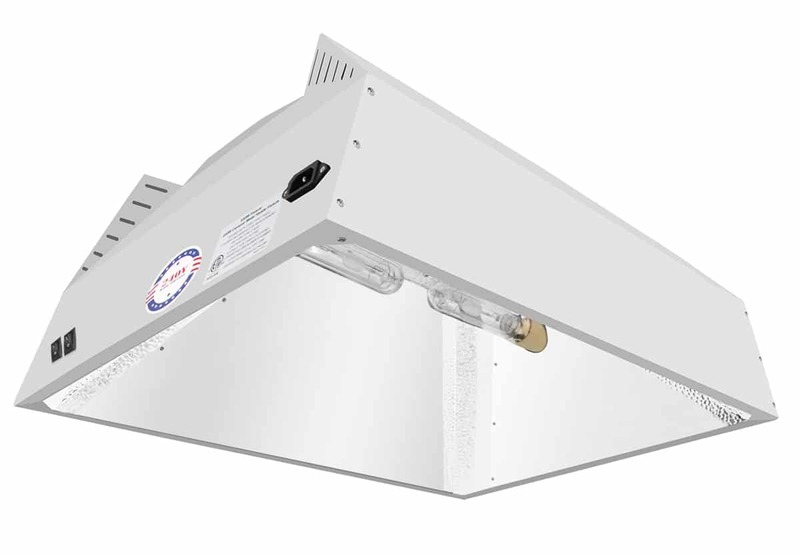 Metal halide grow lights are generally cost effective and require little expert knowledge to use. They output a reasonable amount of light per watt of electricity and have an average bulb life, making them a very popular choice, particularly for growing green, leafy salad vegetables. High-pressure sodium grow lights emit light with greater levels of red/yellow light, which is effective for flowering and fruiting phase of plant growth. High pressure sodium grow lights emit a great deal of heat, which can be both an advantage and a disadvantage, depending on what plants you are growing and the underlying climate you are in. They often require supplemental cooling to manage the heat emitted, and cannot be placed too close to the vegetation, or there is a risk of scorching the growing plants. An interesting option is to use a combination of metal halide and high-pressure sodium grow lights within a single system. This works well to gain the benefits of both and to minimize the disadvantages. Metal halide grow lights are used during the germination stage as the primary source of light and high pressure sodium lights are used when the plant is beginning to produce flowers or fruit. Some growers incorporate metal halide lights and high-pressure sodium lights into a single reflector. Although this system seems ideal, it is more expensive to purchase and maintain. The durability is shorter than using the lights separately, and the combined output is often less than using the lights separately. 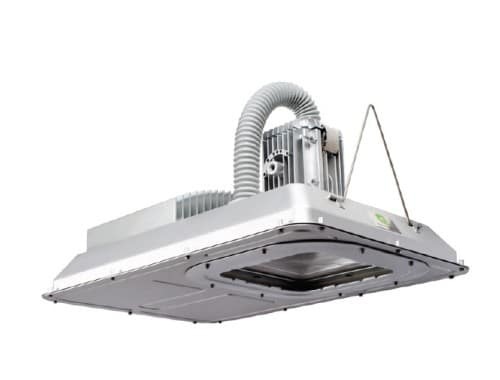 If you are looking to provide your plants with metal halide and high-pressure sodium grow lights at the same time, a better way to do this is by using a two-way switchable or convertible light fixture which can house both types of lights. It is then very easy to switch between using the metal halide or high-pressure sodium lights for different phases of growth. A simple switch between bulbs or lights will provide all the wavelengths of light that your plants require. HID grow lights can be used in cultivating virtually all types of plants from seedling to harvest. The light produced by HID grow lights is more versatile and brighter than that of the fluorescent. The light emitted by HID grow lights can be dimmed, and this helps in regulating the amount of light needed for a given plant or a given area of cultivation. HID grow lights penetrate deeper into the foliage of plants than the many other types of grow light. HID grow lights give out a lot of heat that can cause burning of plants if not controlled by the use of cooling equipment. HID bulbs become less and less efficient over time due to the incremental increase in voltage which is required to produce the same amount of light as the light ages. The lumen output of HID lights decreases over time. HID lights produce light in 360 degrees, so reflectors must be used to focus the light in the desired direction, or else this a significant proportion of the light energy will be lost. Approximately 30% of the energy output of HID lights is in the infrared part of the spectrum. This is not used by plants to grow. Ceramic metal halide grow lights are another popular type of indoor grow light. They are an innovative improvement of metal halide lights. 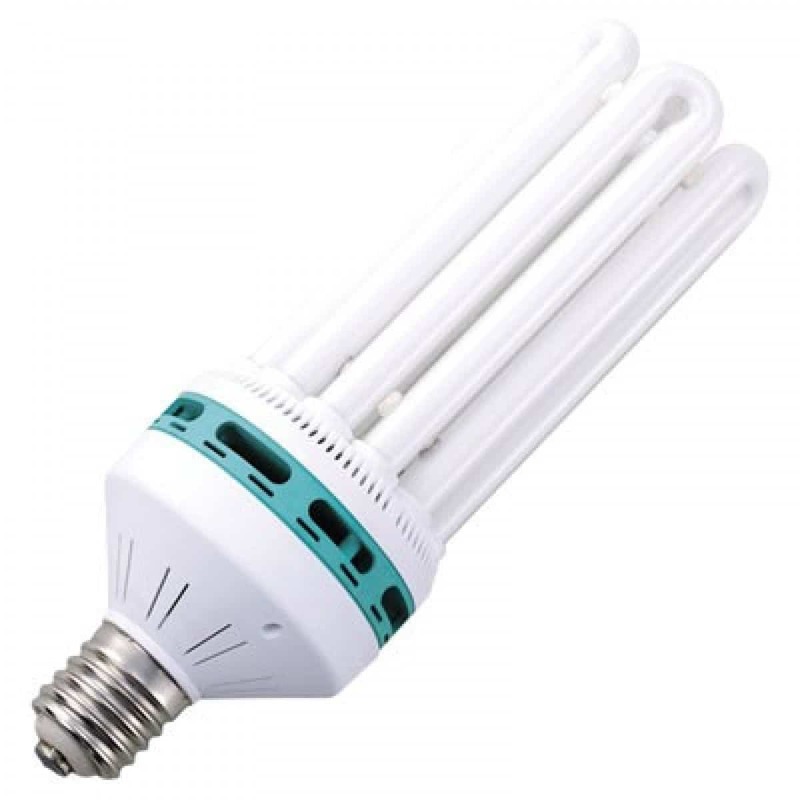 Ceramic metal halide bulbs contain an arc tube which is made of a light emitting ceramic, rather than the quartz of traditional metal halide bulbs. This allows the bulb to operate at much higher temperatures, which causes the light produced to be of a broader spectrum. Ceramic metal halide bulbs emit light in almost the full visible spectrum, making the light from ceramic metal halide bulbs very similar to natural sunlight. 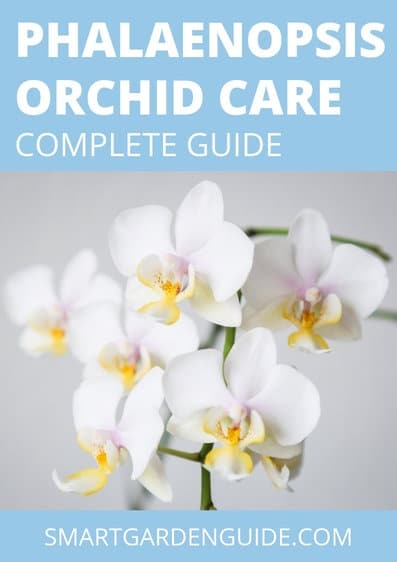 As a result, these bulbs are suitable for use at all stages of plant growth and reduce the need to have a setup comprised of several different types of bulb. Although more expensive than traditional HID bulbs, they are considerably more efficient and the running costs will offset some or all of the difference in cost over the lifetime of the bulb. Ceramic metal halide bulbs typically last considerably longer than other types of high intensity discharge lights. The light quality of ceramic metal halide lamps is far superior to other high intensity discharge grow lights. There is little or no electromagnetic interference with cellular phone network, cable networks, and even wi-fi. This is as a result of the special ballast used by ceramic grow lights. These ballasts are different from the usual digital ballasts used by HID lights which are known to interfere with electromagnetic waves. Ceramic metal halide grow lights are more efficient than other types of high intensity discharge grow lights. Ceramic metal halide grow lights are more expensive compared with other HID lights. They still produce a lot of heat, although less than other HID lights. This heat may need to be dissipated, depending on your growing setup. Ceramic metal halide grow lights will not be as effective as high pressure sodium lights when it comes to plant flowering. This is due to plants requiring increased light in the red band of the visible spectrum to stimulate flower and fruit production. As high pressure sodium lights produce a disproportionate amount of light in the red part of the spectrum, they tend to be better at promoting flowering. Fluorescent grow lights are more cost effective than HID grow lights and do not emit a lot of heat. This immediately negates a few of the drawbacks of HID grow lights. 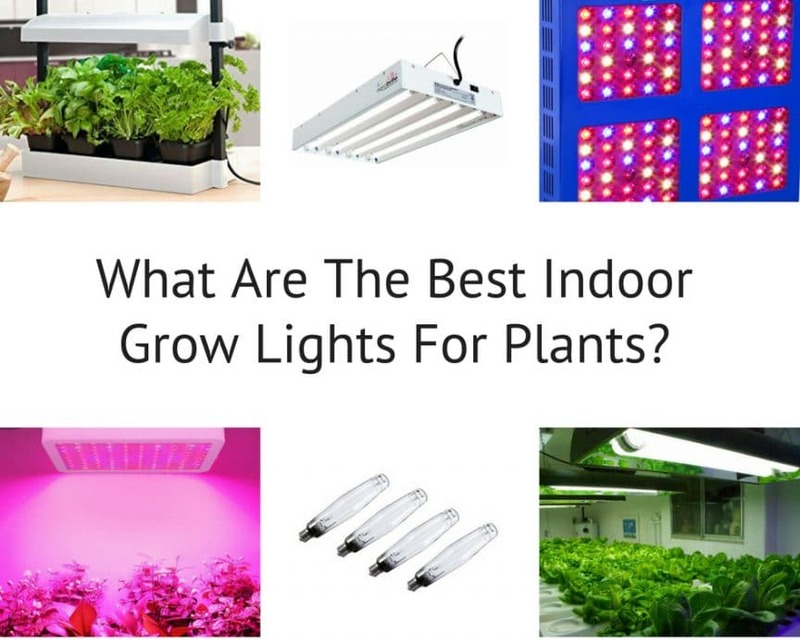 However, fluorescent grow lights are not as powerful as HID lights and are best suited to growing vegetables and herbs, rather than flowering plants. Fluorescent lights work when an electrical current is passed through the bulb, which ionizes mercury vapor inside the bulb. This causes the gas to emit ultraviolet radiation. This radiation interacts with the phosphor lining on the inside of the bulb, which causes the coating to glow and emit visible light. Tube style fluorescent bulbs come in the following forms: T5, T8, and T12. This naming convention relates to the diameter of the tube in 8ths of an inch. 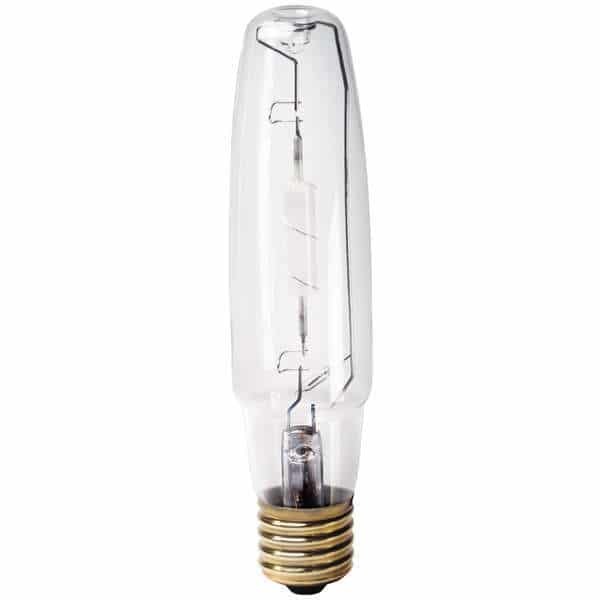 T12 bulbs use older technology and are not a good option as a grow light. T5 and T8 fluorescent light use similar lighting technology. However, T5 bulbs are on average 40% smaller than T8 bulbs and the light output is at least equal, and in some cases better. 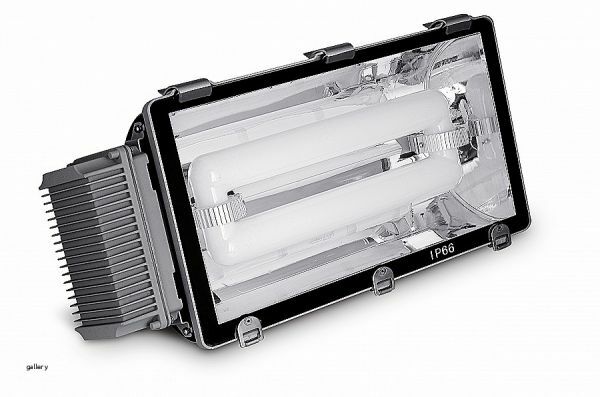 You can therefore fit more T5 bulbs in the same area and produce more light. T5 fluorescent lights with light output of 6500k are considered to be the best option for grow lights due to a balanced of light spectrum. They are not as effective as high intensity discharge lights, but come at significantly lower cost and are very easy to use. These lights were a good energy efficient alternative to incandescent bulbs used in homes, before the arrival of LED bulbs. 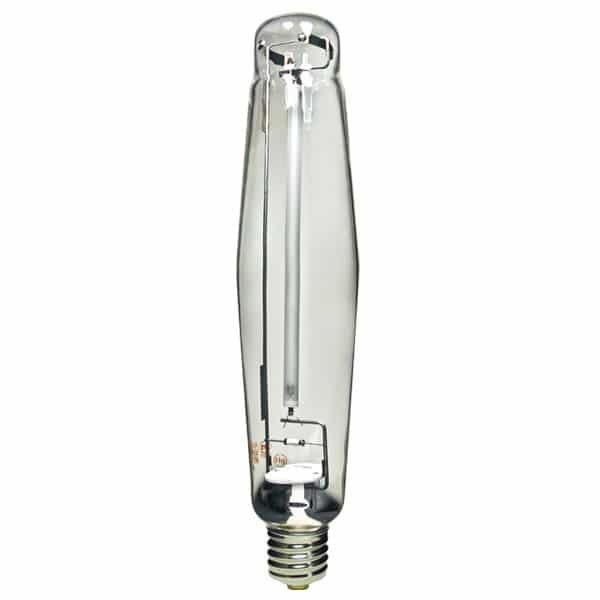 CFL bulbs can be used for growing plants in confined spaces or to supplement the use of T5 tube lights. Compact CFLs are a good choice for someone growing plants in a small space or small scale and for those growers on a budget. They are durable and last much longer than HID lights. Light from fluorescent bulbs does not penetrate through foliage very well, so they are not a great option for large plants grown close together. They are less suitable for the flowering stage of plants. Induction lights used for indoor growing of plants are also known as electrode-less lamps or fluorescent induction lights. Magnetic induction grow lights produce a good spectrum of light, which is well suited to growing plants, but again, it is not as powerful or as effective as HID lights. When it comes to cost, you’ll want to sit down before checking them, as cost is the main reason why most people rule out magnetic induction grow lights. Induction lights are very durable and usually have a rated life of at least 100 000 hours before failure. Great spectrum of light produced, ideal for growing a wide range of plants. 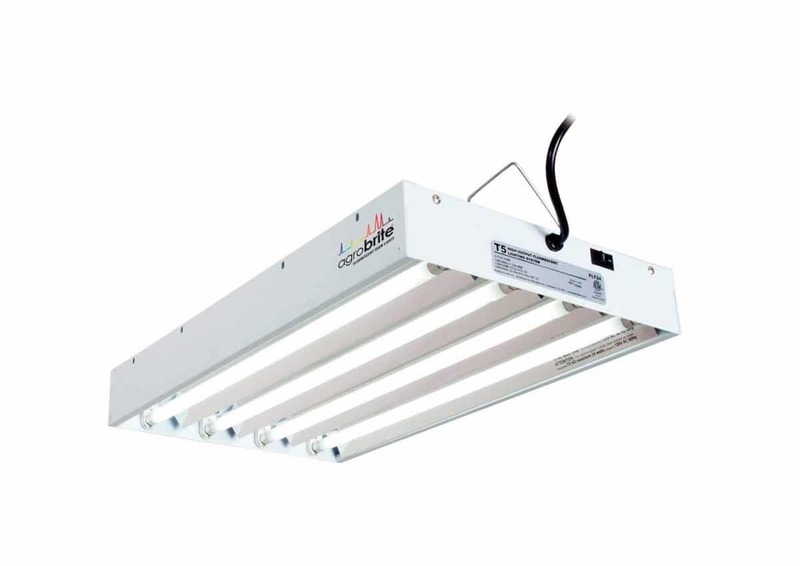 Induction lights are relatively more expensive than most other types of grow light. They can be more noisy than other forms of grow light. Less efficient than some of the major alternatives, as measured by lumens/watt. Plasma lights are sometimes also called induction lights. They function by using microwave radiation to excite sulfur to produce a glowing plasma. Plasma grow lights produce an attractive looking light, but unfortunately it is not particularly well suited to growing plants. The light produced lacks sufficient quantities of certain wavelengths of light, which will lead to unsatisfactory plant growth and development. Another downside, is that they can cause electromagnetic interference, which can impact the functioning of some electrical equipment. Plasma grow lights are also extremely expensive and less efficient than several alternatives. For this reason, I would not advise you to even consider using a plasma grow light. Significant heat production and cannot be placed near plants.